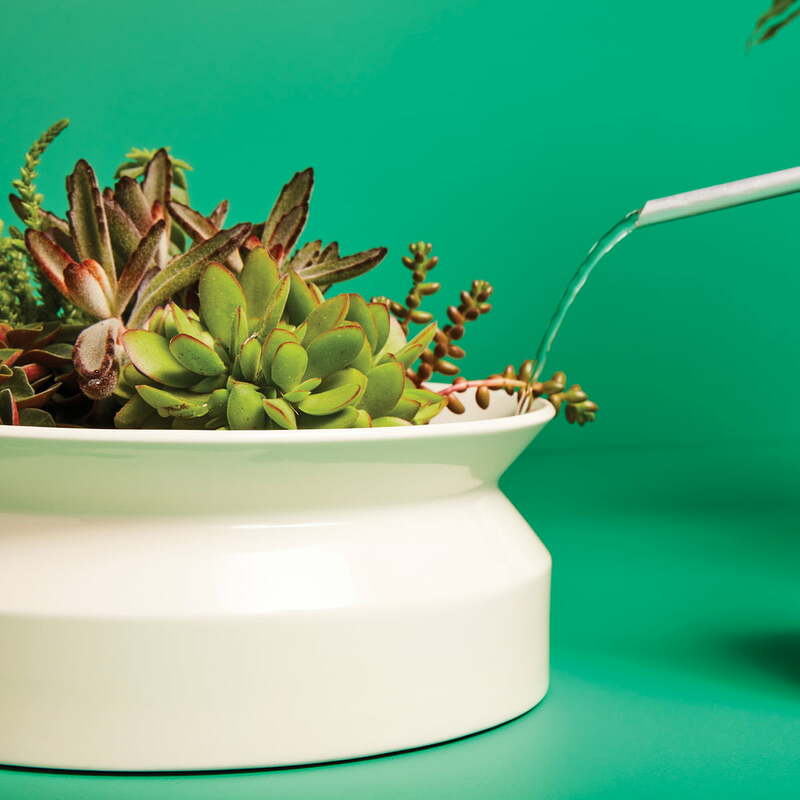 The Boskke Spool plant pot is a decorative plant pot for plants and flowers and an innovative plant pot with Slo Flo irrigation technology. 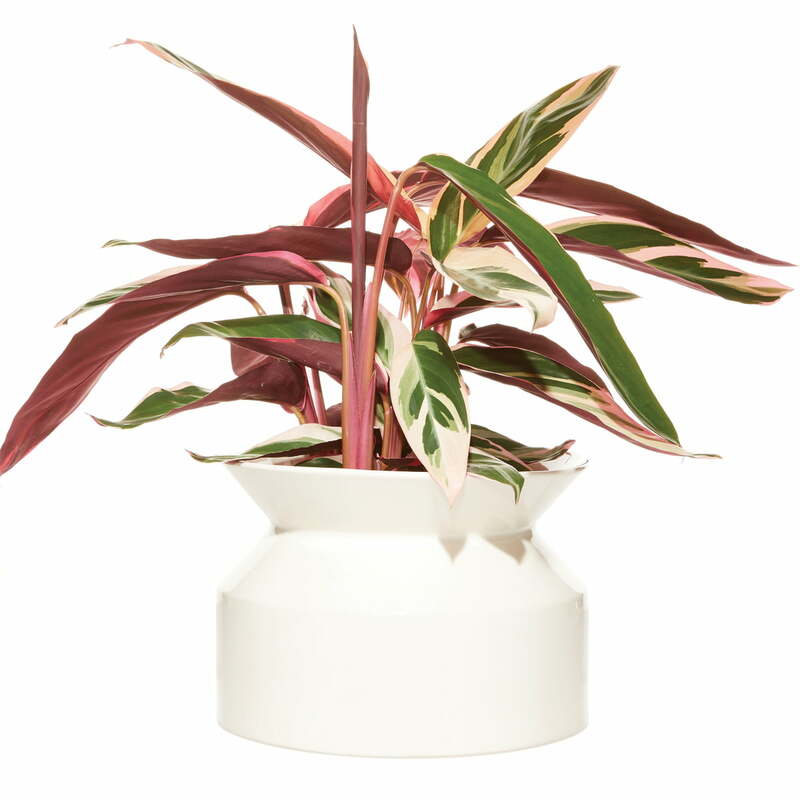 Spool not only beautifully presents the plants in the living area, but also ensures that they always have exactly the right amount of water available. A hyperhydration of the plants is thus excluded. 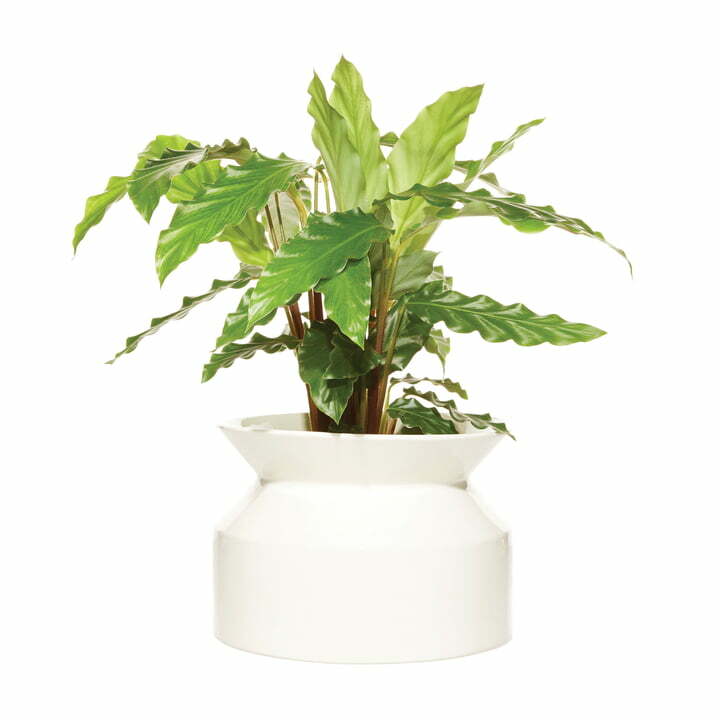 The Spool plant pot is made of ceramic in different colours, shapes and sizes. Its silhouette is based on the shape of a traditional sewing spool and thus creates an eye-catcher in the room. The Slo-Flo irrigation system of the spool gradually feeds the water to the roots of the plant. The integrated system supplies the plants with water for up to one month. 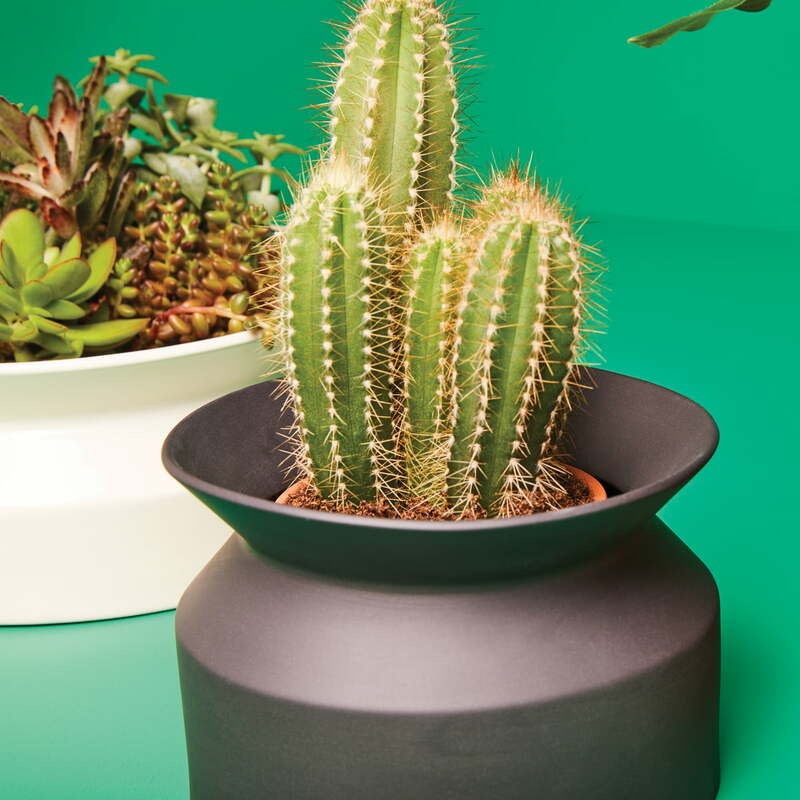 The plant pot is a real eye-catcher in every living area, both alone and especially in a group, and makes a great impression in the windowsill, on the side table or on the floor. The Slo-Flo irrigation system of the spool gradually feeds the water to the roots of the plant. The integrated system supplies the plants with water for up to one month. 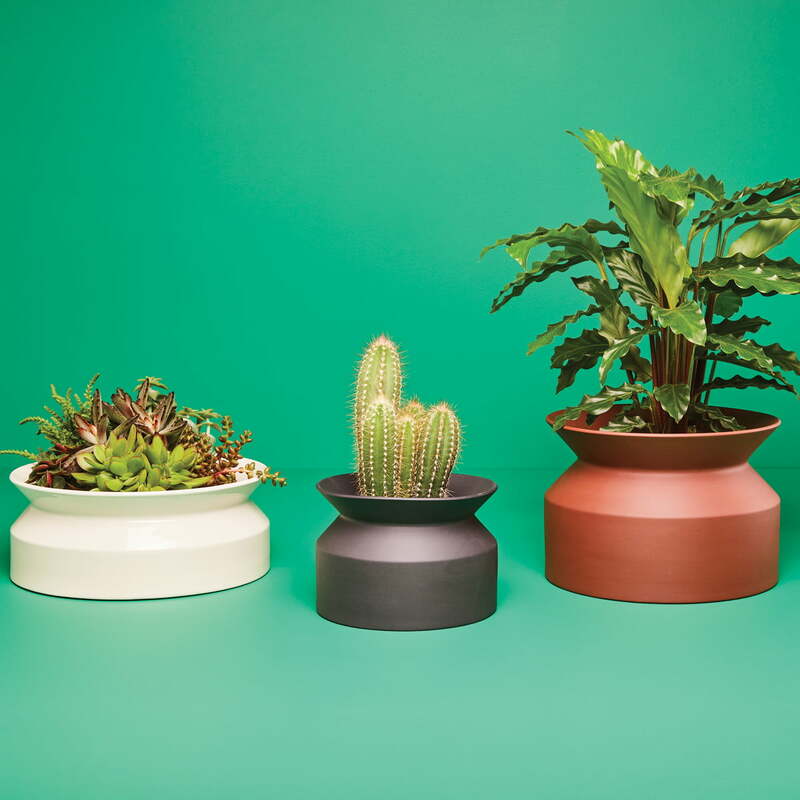 The Spool plant pot is made of ceramic in different colours, shapes and sizes. Its silhouette is based on the shape of a traditional sewing spool and thus creates an eye-catcher in the room.